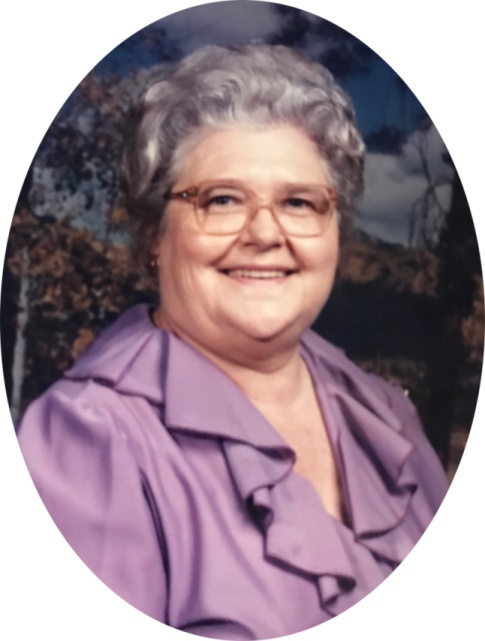 Mrs. Anna Evelyn (Ramsey) Owens, age 92, widow of Robert and mother of Virginia Ann and the late Eddie Ray of Brodhead, KY; passed away Friday, November16th, 2018 in the Jefferson Memorial Hospital in Jefferson, Tennessee. She was born on October 5th, 1926, in Brodhead, KY; a daughter of the late Riley G. Ramsey and Susie Spoonamore Ramsey. She was a lunch room supervisor at the Brodhead Graded School for 27 years. Those left to celebrate her life are: her daughter: Virginia Ann Rash (Bill) of Milford, Ohio; daughter in-law: Pauline Owens of Dandridge, TN; her grandchildren: Emily Perryman (David), Jason Owens (Melinda), Vikki Owens (Chris), and Tammy Greene (Curtis); five great grandchildren; three great-great grandchildren; As well as a host of friends and neighbors. Besides her parents, and husband, she was preceded in death by her son: Eddie Ray Owens; brother: Bill Ramsey; sisters: Clara, Beatrice and Selma. Visitation for Mrs. Anna Evelyn Owens will be Tuesday, November 20th, 2018 from 11 A.M.-1 P.M. at the Marvin E. Owens Home for Funerals. Funeral services will be conducted Tuesday, November 20th, 2018 at 1 P.M. at the Marvin E. Owens Home for Funerals chapel with Bro. Randal Adams, officiating. Burial will follow in the Piney Grove Cemetery. In lieu of flowers contributions can be made to Alzheimer Association.